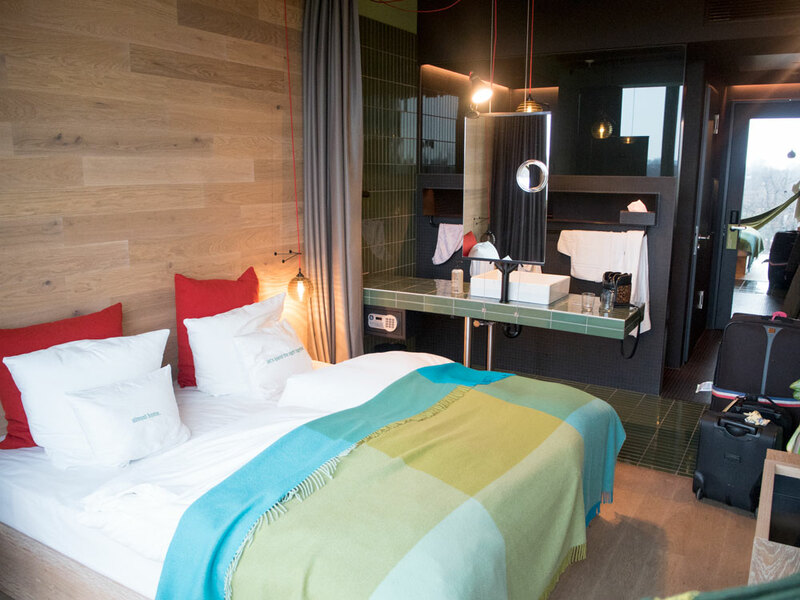 We stayed at the 25Hours Hotel Bikini Berlin and I would hugely recommend it. You can see how excited I was when we arrived in part one of my Berlin vlogs. We stumbled across it when we were looking for hotels on Expedia and immediately we wanted to stay there. After researching it and seeing all the rave reviews it had we decided we had to book it. You can either have a room facing the city or a room facing the zoo. Obviously I wanted to face the zoo, I mean how awesome is that hammock in the window overlooking all the animal enclosures! The hotel also has a really popular rooftop bar and restaurant. Unfortunately we didn’t have time to go to these, and it was a bit cold to be out on the rooftop bar, but if you’re going in the summer it’s perfect! 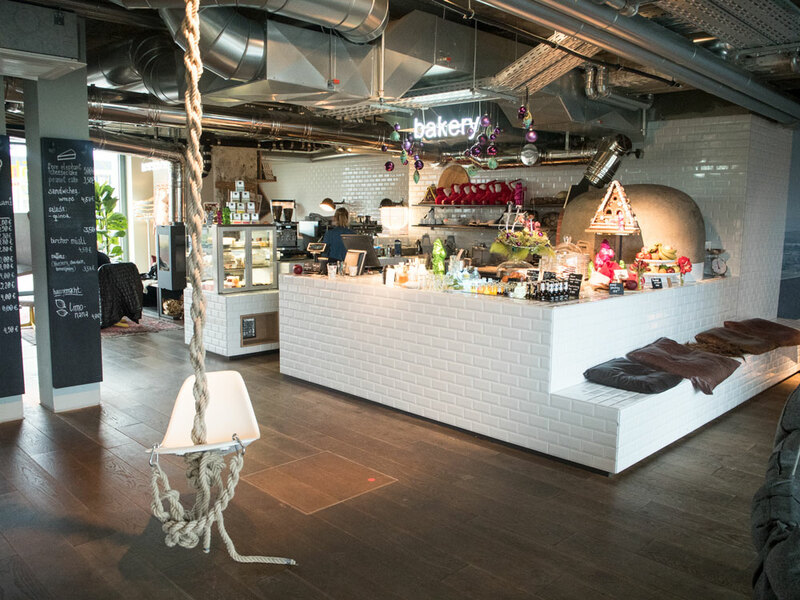 There’s also a really cute little bakery in the hotel lobby where we bought croissants for breakfast each morning. You can borrow bikes for free to get around the city, and you can even borrow a bladdy Mini Cooper! It’s also really well situated just a few minutes walk from a huge train station and one of the best shopping roads in Berlin, the Kurfurstendamm. 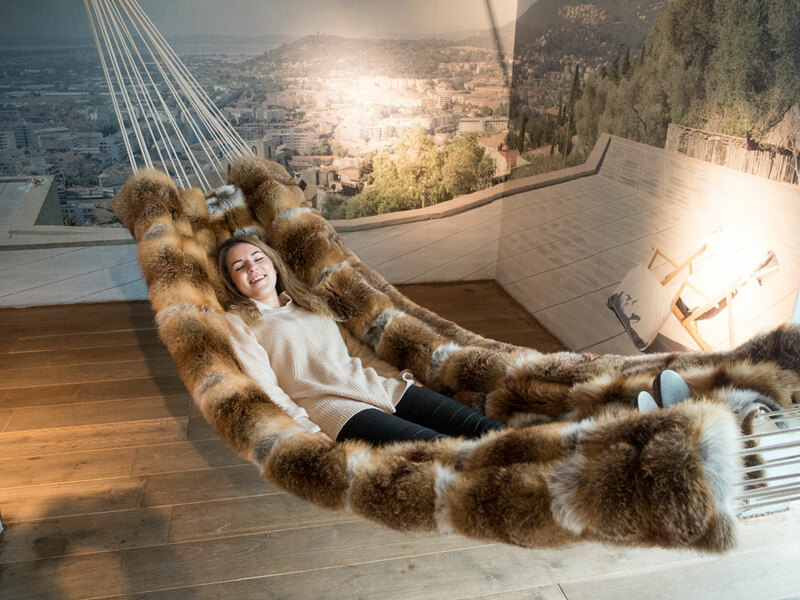 And any hotel that has a fur hammock in the lobby is a deal maker if you ask me! We were completely shocked at how cheap it was to get around the city and would definitely recommend using the public transport as its super easy and cheap to use. To get from the airport to our hotel in the centre of Berlin was €3.30 by train! That would be unheard of in the UK. The main three modes of transport you can use are the buses, the underground and the overground. There are also trams in some areas but we didn’t use those. 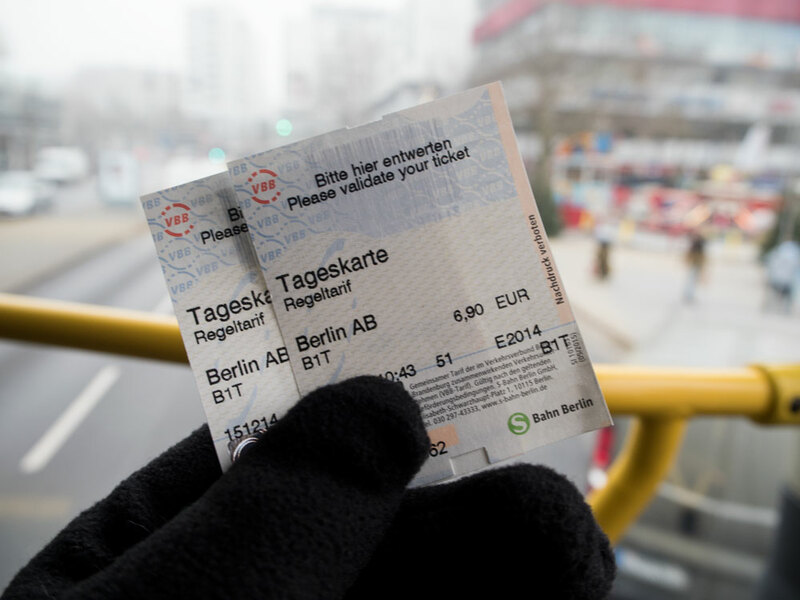 A day ticket to get around the whole of the city of Berlin was only €6.90 to use the buses and both types of train. Cheap as chips! We used our phones to plan our routes around the city but it is a really easy system to understand. If you want the underground look for a ‘U’ sign, or the overground station has an ‘S’ sign. Everyone’s really friendly too so just ask if you’re a bit lost. I have another post coming up with my favourite Christmas markets, because trust me, there are bucket loads! But for now, I’m just picking out my favourite general spots I would recommend making a visit to. 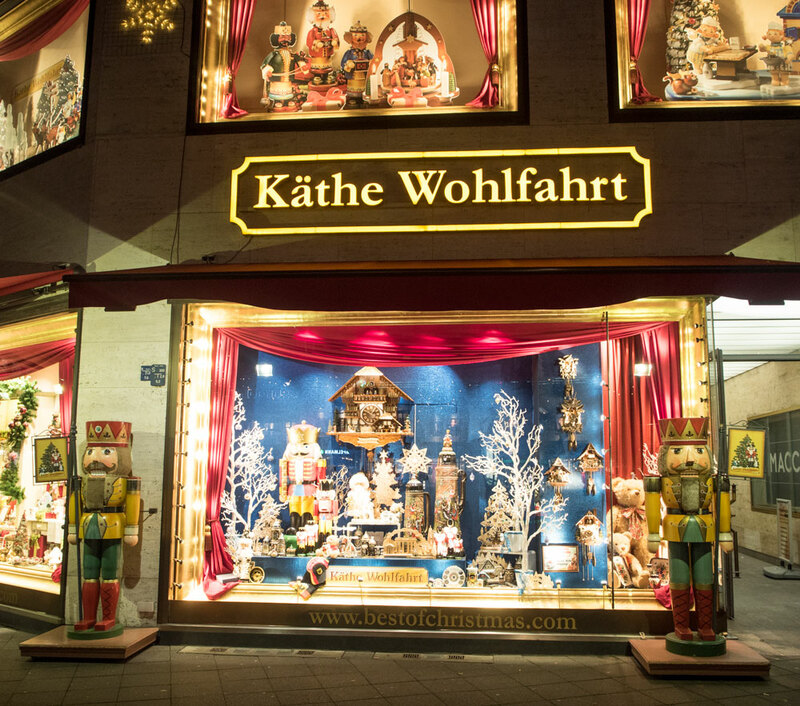 This is a Christmas shop on the Kurfurstendamm road that’s open 12 months of the year, so you can get your Christmas fix whenever you go! It’s a Christmas lover’s heaven, filled with all the decorations you could ever imagine. 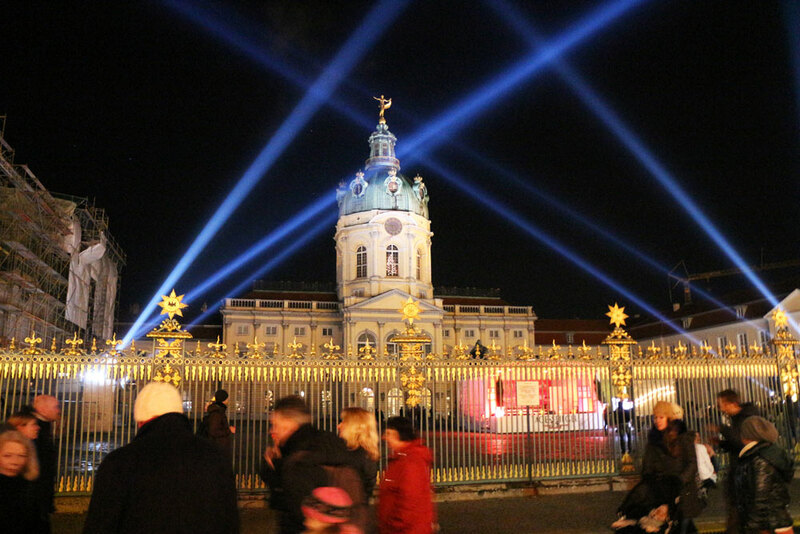 The largest palace in Berlin built in the 17th Century, Schloss Charlottenburg is a beautiful place to visit and has been described as a mini Versailles. If you like grand ballrooms, 17th & 18th Century paintings, ornate interiors and incredible gardens then this is one for you. I don’t have any pictures of the inside because you weren’t allowed to take any photos, but if you do go, look out for the Porcelain Room, it’s insane! You obviously can’t go to Berlin and not see the Brandenburg gate. We saw it both in the daytime and at night. I would say it’s more beautiful at night but it’s worth seeing at both times of day. 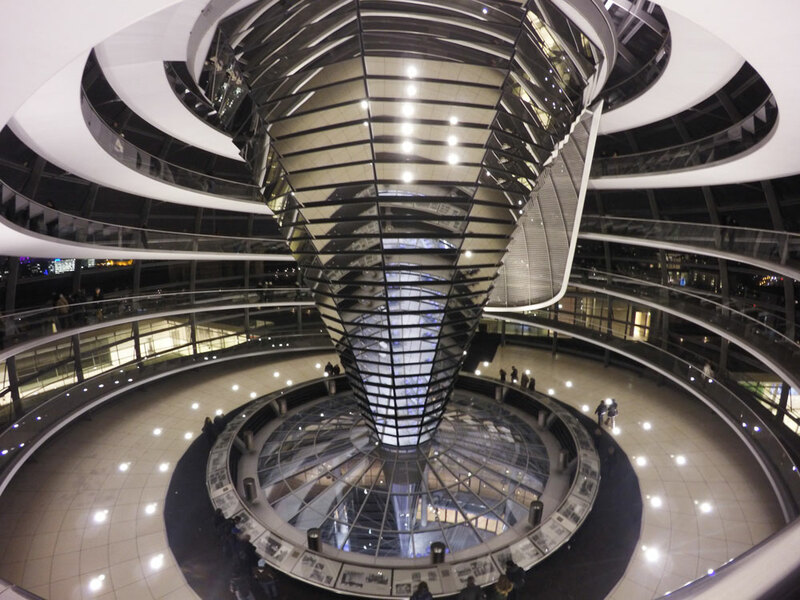 The Reichstag is the German Parliament building and is home to a huge dome that visitors can wind their way up inside and view Berlin from above. 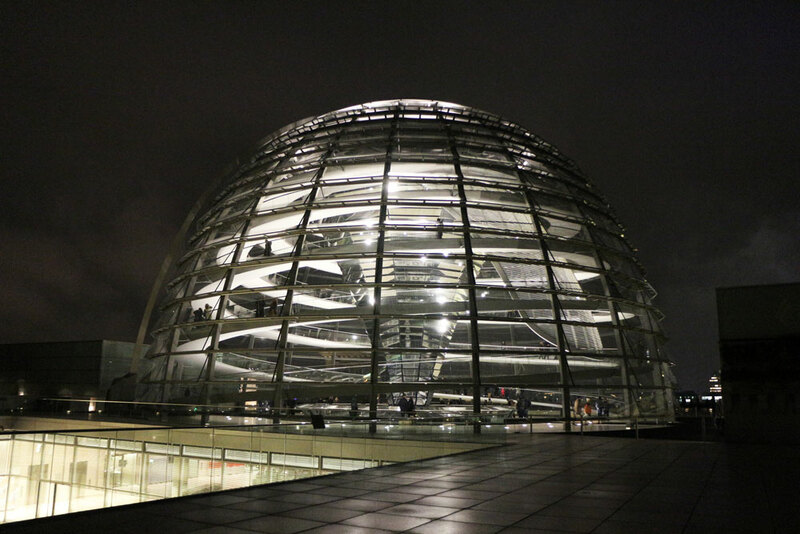 It’s an awesome building in terms of architecture and gives great views of Berlin. One thing you do need to do is register in advance, it doesn’t cost anything but you might not get in if you don’t book in advance. It’s timed, so our slot was in the evening but you can visit it in the morning which is something I would like to do if we go back. A word of warning though, it’s not enclosed, so you will be cold if you go during the winter! 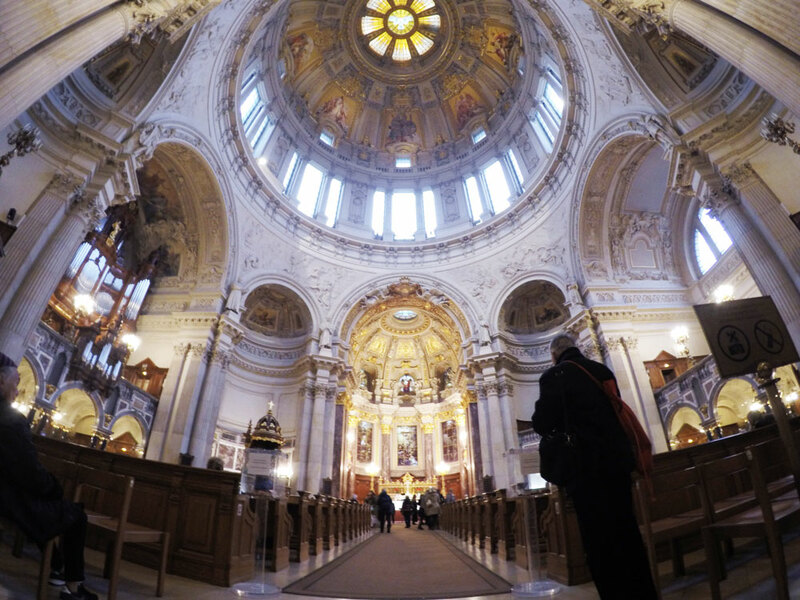 The Berlin Cathedral was something I wanted to see but Luke wasn’t that bothered about. But once we were inside we were so pleased we made the effort to go. Its beautiful inside and we actually found ourselves in the midst of a Christmas choir practice, it was completely magical hearing Silent Night being sung in such a beautiful place. You do also have the option of climbing up the many stairs to see outside, and while it is knackering, its 100% worth it! The view is incredible. A 1.3km remaining part of the Berlin Wall has been decorated with art murals by many artists in 1990 (since restored in 2009) and serves as reminder about the years the wall stood. It’s a really powerful place to go and something you can’t miss when you’re in the city. Some of the pieces are just incredible and so moving. 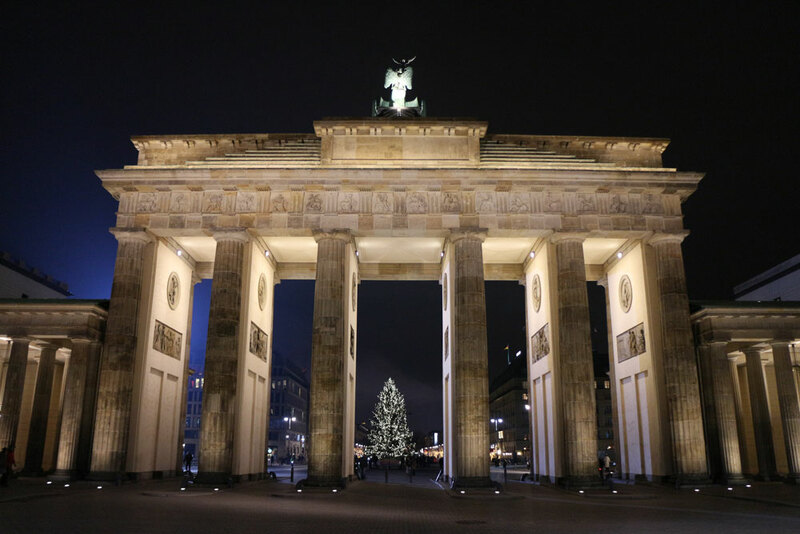 It’s easy to walk the length of the wall and probably the easiest way to do so is take the train to Berlin Warschauer Straße station, walk the length of the wall and then catch the train from the other end at Berlin Ostbahnhof station. Other notable things to do are the TV Tower for amazing views of the city, the Kaiser Wilhelm Memorial Church, Berlin Zoo (I didn’t get the chance but it’s meant to be awesome), and Checkpoint Charlie. Berlin is now one of my favourite cities and I will definitely be going back at some point in my lifetime. Have you ever been?